Alienware's Area 51 gets some nice hardware tweaks, plus a major upgrade to its Command Center software. Watch us gush about the Toolless Graphics feature here. Alienware’s Area 51 is already famous—or perhaps notorious—for shutting out other major PC vendors from AMD’s Ryzen Threadripper for all of 2017. That was then, this is now: It's 2018, so Alienware has to find some new tricks. 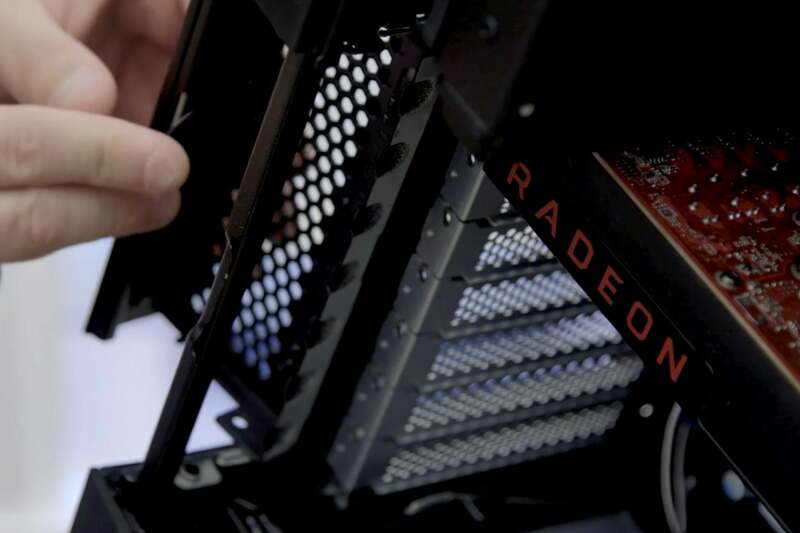 On Tuesday at CES the company announced a few hardware refreshes for this flagship gaming desktop, plus a deeply revamped Command Center that should be a handy one-stop shop for both casual and serious gamers alike. Preorders for the Threadripper version start Tuesday; the systems will ship in February. The hardware changes seem small, but they're nice touches that help the Area 51 stand out a bit in a very competitive market. Alienware added two more fans, in part because of another addition: support for the U.2 interface for SSDs, meaning you may have a few more drives to keep cool. Alienware's Area 51 has a special feature called Toolless Graphics, a door in the back of the PC that secures card brackets without finicky screws. Our favorite addition is the Toolless Graphics feature. It's a little door that swings out from the back of the Area 51, exposing the card slots. You can insert a card and just shut the door, no screws necessary. Now that's progress for DIY builders. The deeper changes come to Alienware's Command Center software. The goal of the revamp is to unite all of your gaming needs in one package. New features include support for all major gaming services, so you can view, say, your Steam library within the Command Center software, complete with product names and bookmark info. Alienware's revamped Command Center supports major libraries, letting you view them all in one place. Tweaking the hardware for maximum output used to require multiple separate utilities. 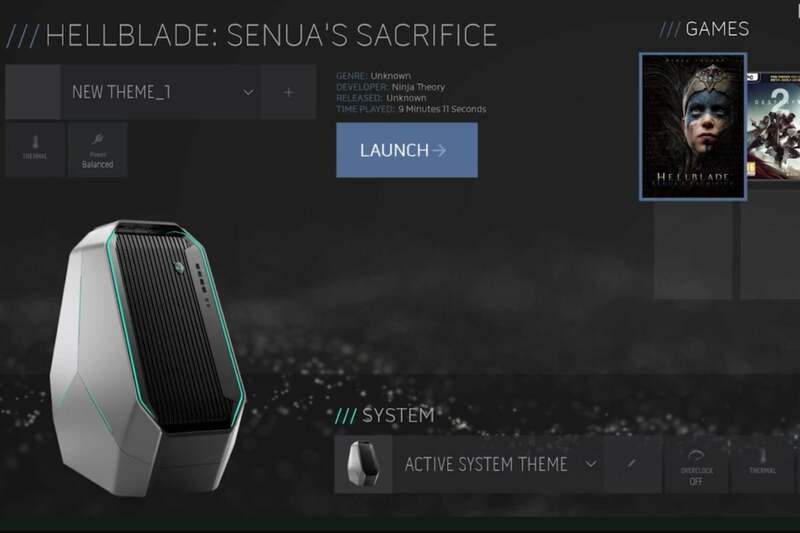 Alienware tries to simplify that as well, offering menus for adjusting thermal output and overclocking. 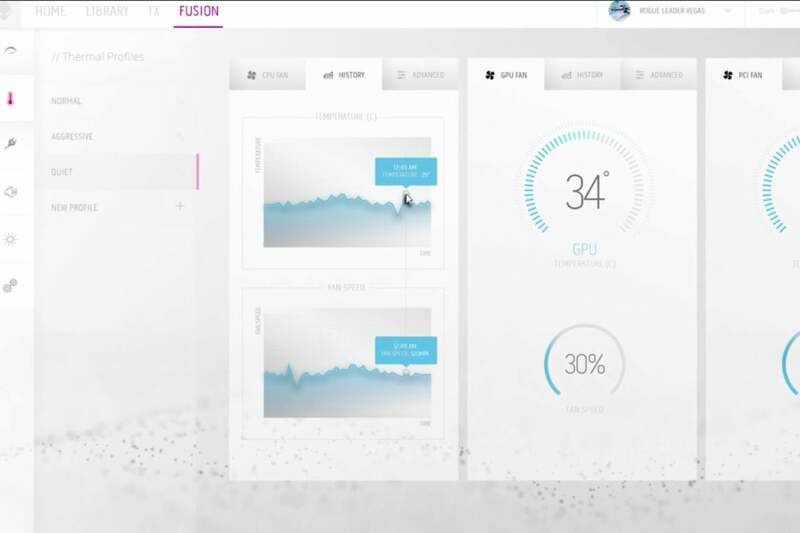 You can set game profiles, adjust your lighting, and more. Alienware's upgraded Command Center includes utilities for overclocking and managing thermals. Alienware's Area 51 may look the same on the surface, but its internal upgrades make the gaming desktop better where it counts. Add in the upgraded Command Center software, and you're getting a raft of new features, most of them free. Well, with the purchase of an Alienware system, natch.